Clear Creek Park is a 45-acre park located on Southwest Drive, easily accessible from Interstates 25 and 80. The park is a popular location for parties, picnics and family gatherings. It features walking paths, restrooms, updated playground equipment, horseshoe pits and permanent charcoal grills. There are two covered shelters at the park. 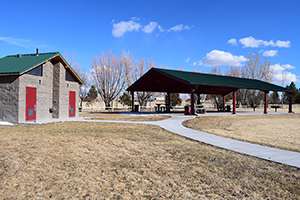 The larger shelter on the south end of the park can accommodate 150 people, while the smaller shelter and picnic area can accommodate 20 to 25 people comfortably. Potable water is available at both shelters, and the new shelter has electrical outlets. Reservations for use of the park shelters are available on a first-come, first-served basis from May through October. 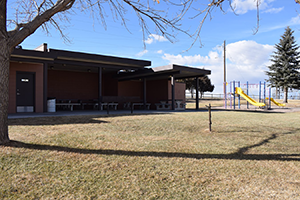 In 2017, the Laramie County Recreation and Advisory board in coordination with Laramie County funded upgrades to the park facilities. This included construction of the new shelter and restrooms, upgraded playground equipment and an expanded parking lot. 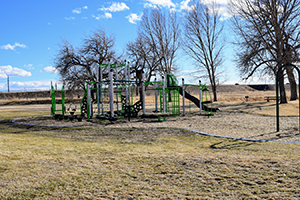 The Laramie County Recreation and Advisory Board is a county-appointed board that oversees Clear Creek Park and helps enhance recreation opportunities in Laramie County.